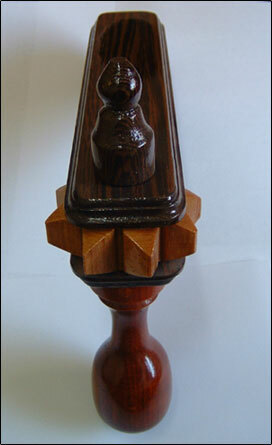 This handmade, solid wood Purim grogger is both a beautiful piece of Jewish artwork and loud as a firecracker. Haim Richenberg handmakes each grogger (or in Hebrew ra'ashan, a "noisemaker" used on the holiday of Purim to blot the name Haman during the reading of the Megillah or Book of Esther). He designed them in a way to be durable and extremely loud. You won't find these groggers anywhere else on the Internet. If you're looking for a great Purim gift or just for the perfect grogger for yourself, you've found it. Since every piece is unique the grogger you get may differ slightly from the one in the image. 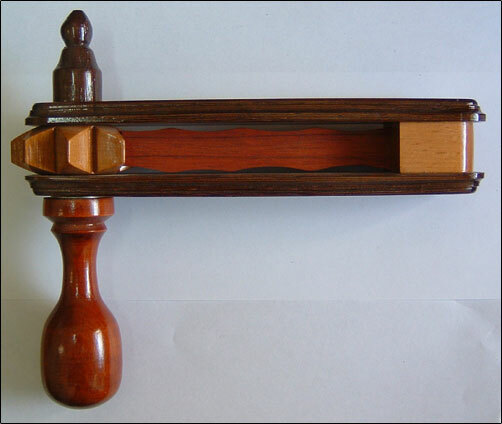 Haim Richenberg has been working as a master woodcraftsman for more than 40 years. His studio is the historic Nachlaot neighborhood in Jerusalem, Israel. 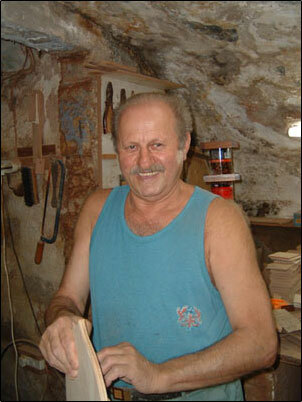 Haim was born in Romania and made aliyah to Israel with his parents at a young age. He served as officer in the Israeli Army in three wars. We're honored to have him on our site. Shipping and handling to any location Worldwide from Jerusalem, Israel is only $14.99.